The adventure starts one spring day while cleaning up the yard after a long Maine winter. It wouldn’t be spring in Maine without black flies – those tiny, flying critters that go straight for your face, quickly turning a moment of pleasure into a nightmare! This being our first spring here, we were sure we would find some sort of repellent we could buy. Well, we were wrong! The only thing we could find was mosquito and “bug” spray, all containing DEET and other harmful chemicals that did little against these mini monsters. 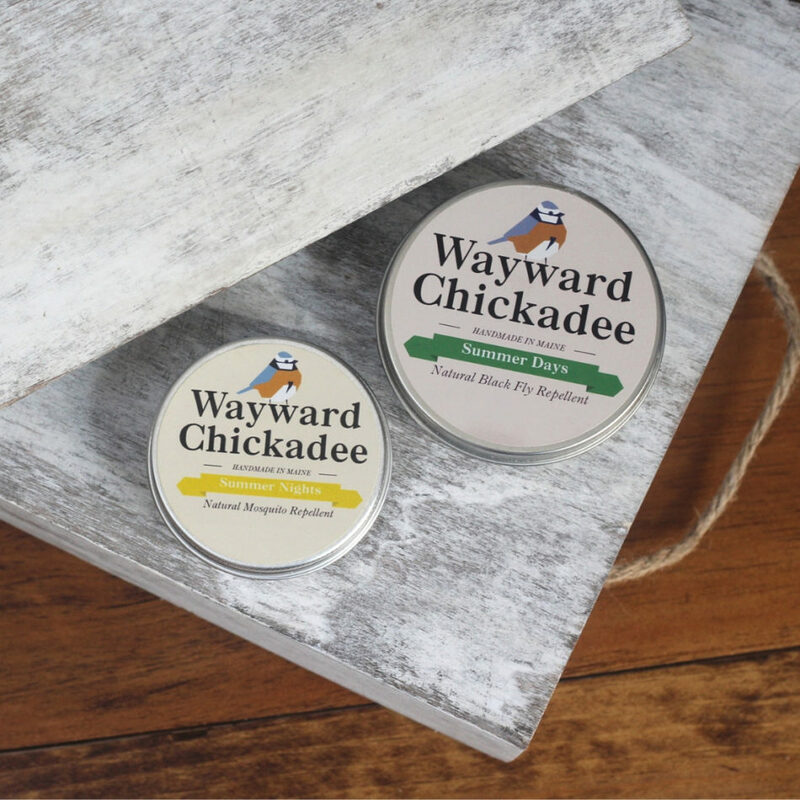 After a lot of trial and error, we came up with a totally natural balm using a mixture of essential oils that black flies hate. We slathered it on and the result amazed us – it was so nice to be able to spend time outside without getting bit (or smelling like a chemical factory). Black flies only last a few weeks and then the blood suckers come out in full force. 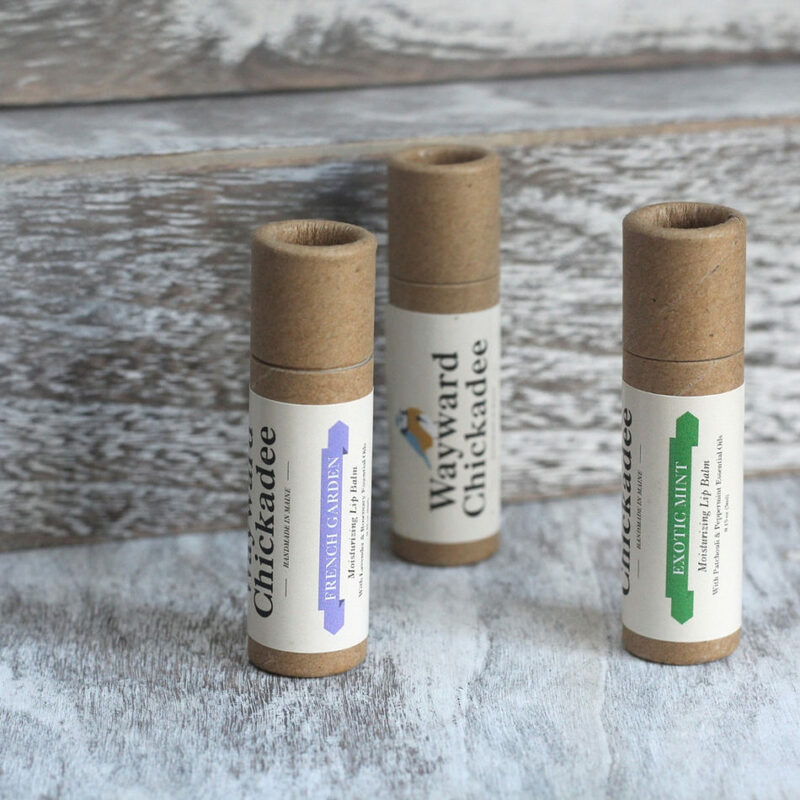 We applied the same concept, changing the essential oils and voila, no more worrying about mosquitoes and ticks! A few family barbecues later everyone was using our balms. After whipping up a few batches for family and friends, and then friends of friends, people started asking where they could buy it. That’s when we created our online shop. We wanted to create simple products that were totally natural and respected the environment. But what do we call it? 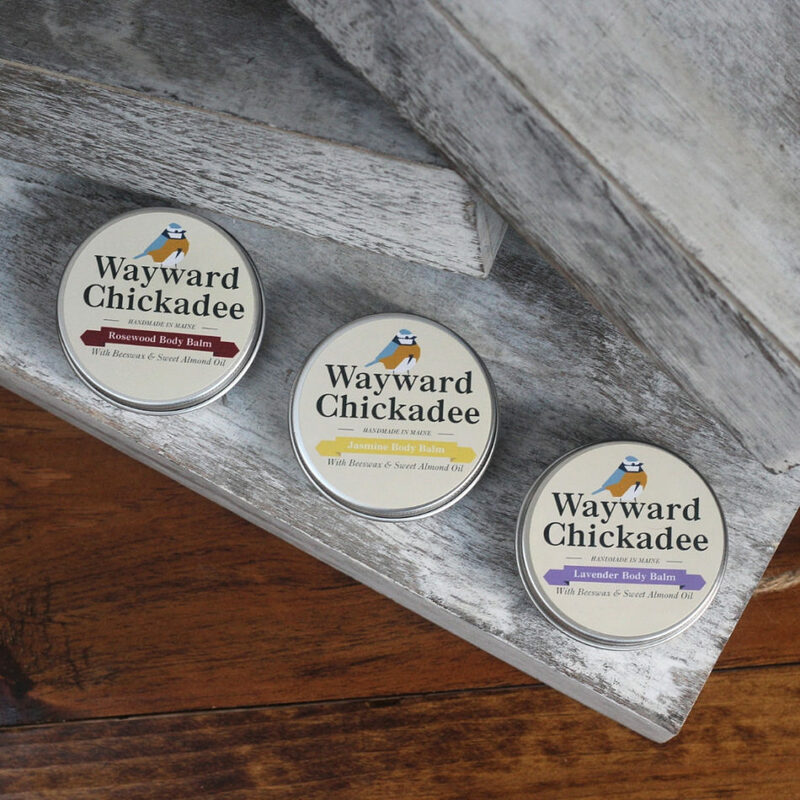 Wayward Chickadee! Get to know us and the name makes sense. Before settling in Maine we lived and traveled all over the world and Wayward just sort of fit – a little adventurous, off the beaten path. The Chickadee, emblematic of our adopted State of Maine, ready to fly. Little by little, we are expanding our selection by researching and formulating products that have one thing in common: simplicity. Using as few ingredients as possible, all natural, and safe for you and the environment. 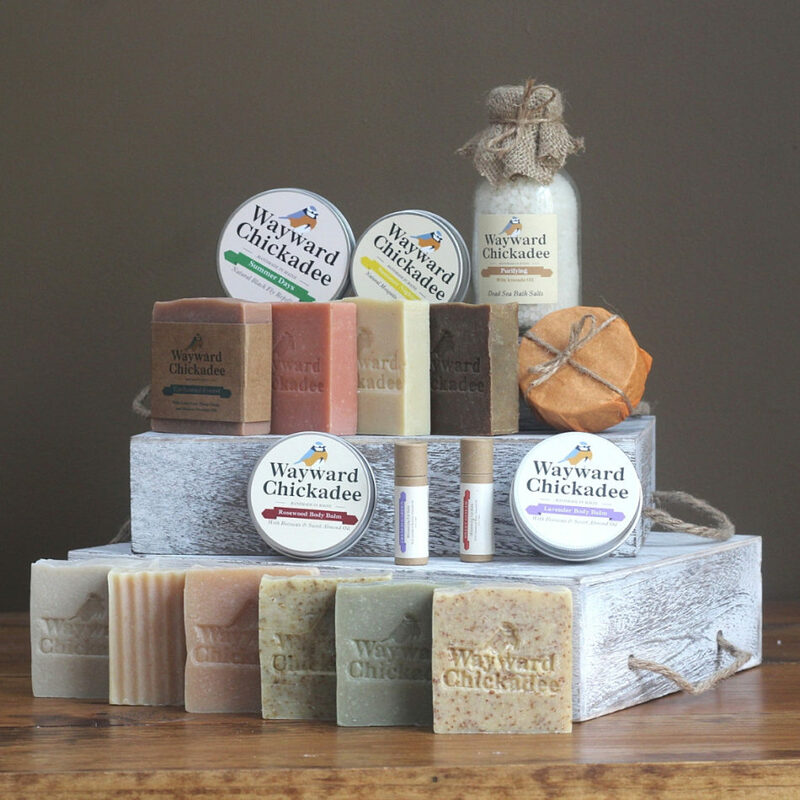 Like our range of 100% natural, traditional cold processed soaps, solid shampoos, body and lip balms, we skipped using synthetic fragrances and preservatives and concentrated on what nature had to offer, like using essential oils for their scent and numerous beneficial properties. Simply nature. Today we are two and a half in our small business: Sébastien who draws on his experience from leading a Swiss skincare company to create products; Jim who keeps the online store running and handles design and packaging; and little Abigaël who motivates us to return to a more simple, healthier time.